No Media Releases currently available. In Canoe Sprint events, athletes race on a straight course, each boat in a separate lane, over three different distances: 200m, 500m, 1000m and 5000m as well as the 200m x 4 relay. There are Kayak events in single (K1), double (K2) and four (K4) boats, and Canoe events in single (C1), double (C2) and four (C4) boats. 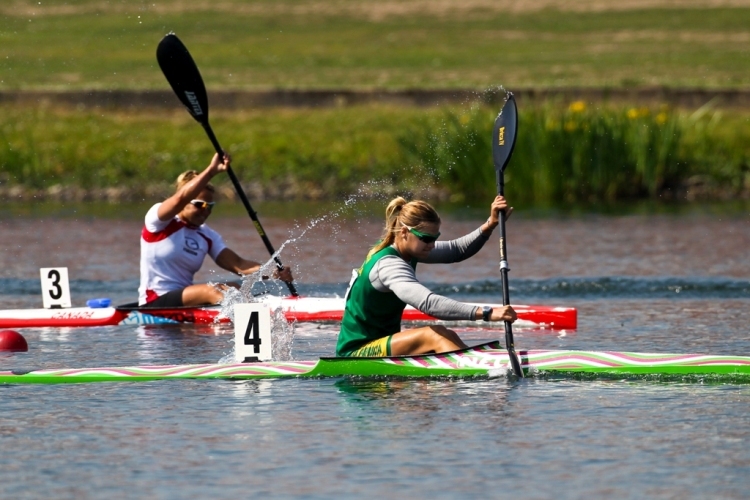 Traditionally Canoe has been exclusively for Men but there is a growing Women’s contingent and Women’s C1 and C2 are in the World Championship programme from 2010. In a Kayak, the paddler is seated and uses a two-blade paddle, while in a Canoe, the paddler is kneeling on one knee, and uses a single-blade paddle. The sprint season is built around an autumn racing calendar in April and May each year, culminating in the SA Sprint Championships, and the hugely popular SA Schools Championships. On the international calender, there are three Sprint World Cups and one ICF World Canoe Sprint Championship that are held annually at differing venues.